My favourite is without doubt the chocolate shake , each mouthful is like eating a bar of Cadburys chocolate, it's smooth, creamy and certainly fills the gap. Ordering I purchased via an online deal. Turned out it was very popular and I had a 2-3 week wait. When it arrived there were 5 missing which still haven't been sent and the flavours were different to advertised, but I did receive a discount off my next order which I have used to purchase flavours not available in the deal. These came a lot quicker and I was happy with that. Product Plus points. Uses water not milk, filling, great flavours, shaker a good size, can order individuals not great big tins Cons. A bit claggy and needs very vigorous shaking. Powder clags round the mouth of the shaker and doesn't mix, the packets are too big and sometimes spill out over the side of the shaker Value for money. A little more expensive than others on the market meal for meal but flavour choice means it evens out. I have only tried the shakes so far as I prefer savoury snacks and there aren't any that I like, and I prefer a shake to a bar as a whole meal. I think the snacks that are available are a little pricey and I can get other brand snacks with the same calorie intake. All in all a great product which has great flavours, are filling and delivered to the door. And as I've recommended exante to a friend I'd say it's doing all right! These shakes will stave off hunger for a few hours, which I was surprised to learn. Best feature is that these are made with water, as the milk is already in the mix. This is a winner as I can take water in the shaker then tip in a sachet while I’m on the go. Cost per meal is very competitive and flavours are fine. Back in size 10 jeans! As a Poldark specialist taking guests all over Cornwall and also appearing on radio and TV it has been very awkward having to admit that Cornish Cream teas and Pasties were taking me further and further away from my wardrobe ! I happened upon Exante almost by accident one day when I had to consider buying jeans two sizes bigger. (There was a muffin top looking a bit more like an over inflated Yorkshire pudding!) When the box arrived I could hardly wait to try it . I’ve loved all the flavours from the get go but my absolute favourites are vanilla and almond ( like liquid marzipan ! ) and caramel which I’ve sadly run out of !! I’ve never felt hungry on the shakes and I’m looking forward to moving onto some of the meal replacements to start moving towards a maintenance programme. 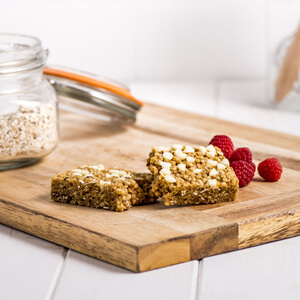 Exante has made a busy life easy to manage without reaching for the carbs! No more pasty breaks for me on tour days !! Ive tried other shake drinks so thought id give this a go and its brilliant. fab flavours tastes great i like the cherry berry and white chocolate rasberryand i love that you just mix water. Noticed the difference. 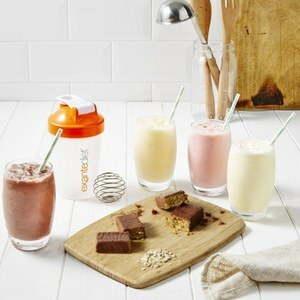 Amazing shakes , all taste delicious! It's the first time I've tried these shakes , I've never done a shake diet before and I didn't know if they would work. Since starting them 2 weeks ago I've lost 6 lbs , which is brilliant , I'm not finding hunger to be much of an issue , so I would say this is a great product. I will be buying them again until I reach my goal , 1stone 5lbs to go ! Took a while to be delivered. Bottle came first but with no mini whisk inside so was a bit annoyed. Flavours were pretty standard, whereas I was expecting more of a selection. I received lots of the strawberry, chocolate, vanilla and banana shakes. A few of the cookies and cream, and creamy coconut. I was expecting more selection as there are so many different flavours so a few of each flavour would be nicer to receive, especially as this is my first time trying them. So I guess my only issue, apart from the missing whisk...is that I'm stuck with lots of the flavours I'm not too keen on and have to order more to trial. Creamy coconut is amazing though and majority of the shakes I find easy to drink compared to other meal replacement shakes ive tried from other company's where I could barely stomach them. These shakes actually do make me feel full so I have found I don't pick at food as often, which is great!! Glad I am trying this. Happy with my order from Exante. This is my third so far. I use as a slow diet so use it for my breakfast and lunch time. I find it helps, it cuts my apetite. I find it easy to deal with this company.